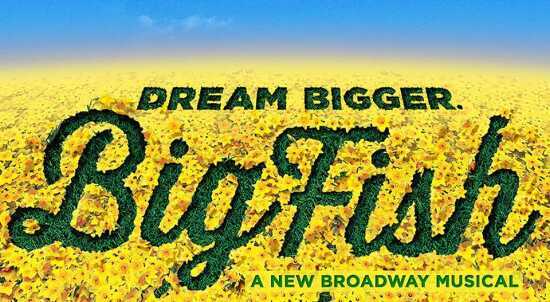 Sikeston Little Theatre will present eight performances of Big Fish! Besides the tap dancing elephants, there are witches in a swamp, a giant in a cave, and a circus. Oh, and I don't want to forget the mermaid. Real or just stories? That's what we're trying to find out in Big Fish, the Musical. June 21st, 22nd & 23rd at 7 p.m.
June 24th at 2 p.m.
June 28th, 29th & 30th at 7 p.m.
July 1st at 2 p.m.
Members/Season Ticket Holders may use season passes to pick up tickets at no charge starting Sunday June 3rd at the box office and online. Note: Members may also purchase additional tickets at this time. All seats are $12. Tickets will go on sale FOR ALL starting Sunday, June 10th at the box office and online. All seats are $12. 506 S. Kingshighway, Sikeston, Mo.